You can’t go very long these days without seeing something about food allergies in the news. While increased awareness is a good thing, it’s hard to tell the good information from the bad. The confusion seems to have caused a growing fear of high-allergen foods like peanuts and strawberries, especially when it comes to feeding babies. All this despite a clear statement from the American Academy of Pediatrics (AAP) that there is no proven benefit to delaying solids—even high allergen foods—beyond 4- to 6-months-old. Keeping our children safe is, of course, of paramount importance. But with rising rates of childhood obesity, type-2 diabetes, and other diet-related childhood health problems, it’s also important to ensure that our young eaters are being fed in a way that helps set healthy eating habits for life. In my client practice, I work with parents to help them fit healthy cooking and family eating into their busy lives. I talk a lot to new parents about taking the fear out of feeding. This is especially important when starting solids so that baby’s eating adventure is informed by a healthy perspective on a full range of good-for-you foods. This includes learning about high allergen foods and how they can be safely introduced. When our body comes in contact with something that it mistakes for a dangerous invader, it releases antibodies that trigger the release of histamines. This process is an allergic reaction which, in the case of food allergies, engages the immune system. It is different than a food intolerance, which does not engage the immune system but can cause a skin or gastrointestinal reaction. It can be hard to tell the difference between an allergy and intolerance since both may include a skin rash. In fact, it can be so hard that some studies estimate that 50% to 90% of food allergies are not true food allergies, but rather food sensitivities. If it’s so hard to tell the difference, why does distinguishing between the two matter? The National Institute on Allergy and Infectious Diseases (NIAID) has set out to differentiate true food allergies and food sensitivities. Their hope is to move health care providers away from thinking about food elimination—withholding what are often nutrient dense foods—as an end treatment. In many cases, eliminations are extreme, especially as children may outgrow their “bad” reactions. Some early eaters may also react to highly acidic foods like tomatoes or citrus fruit. This is usually nothing more than an irritation of the GI system, and an allergy is rarely at play. In 2008, the AAP released a clinical report indicating that there is no proven benefit to delaying solids, even high allergen foods, beyond 4 to 6 months. That means that, especially if your child has no personal or family history of food allergies, you can share any and all healthy, whole foods with your baby. This does not mean that your child won’t necessarily have an allergic reaction. They may. But the point is that starting early won’t create an allergy. In fact, some medical professionals believe that there is an advantage to knowing sooner rather than later, not to mention the possible preventative benefits to feeding high allergen foods early. Here’s the bottom line: it’s fair game to consider feeding high allergen foods as early as 6 months. That doesn’t mean you have to, but you can and, if you’re up to it, it’s worth it. It makes it possible to expose your baby to a greater variety of foods at a critical time in the development of their taste buds. 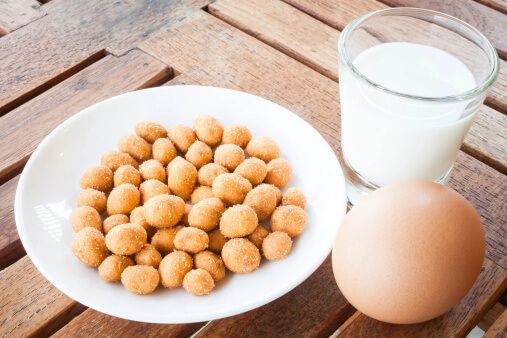 If you choose to introduce high allergen foods early, be sure that you’re prepared (speak to your pediatrician first and have a plan for what to do if your child reacts badly). You can also consider isolating the food (make it the only new food introduction for a few days) so that you can reliably track your child’s reaction. And, of course, immediately call 911 if your child has a severe reaction to any food. The most important thing is always that YOU feel comfortable and prepared. Because, above all, feeding should be healthy, fun, and stress-free so that baby can learn to love mealtime! Overwhelmed by the idea of starting solids? Join the “Starting Solids 101” program for expectant moms and moms to babies up to 12-months-old. Participants get exclusive 6-month access to my private Starting Solids 101 group where they have me “on call” to answer questions, share the latest research on infant feeding, and cut through the heaps of information and opinions on how to feed baby safely. We also have one hour-long Q&A call a month so that you can get in-depth answers. It’s like having a family feeding expert on speed dial, plus a new community of moms who care as much about starting baby on a healthy eating adventure as you. Email realfamilyfood@onehungrymama.com for more info. Mention Dr. Greene’s site for an exclusive discount! 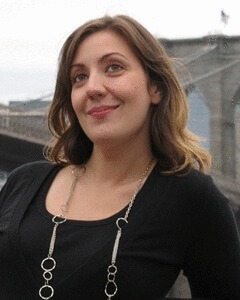 Stacie Billis is a child development specialist and family food expert with a national client practice, as well as the voice behind award-winning site One Hungry Mama where she serves up easy tips and healthy recipes for the family kitchen.